Here's a very sharp (and free) online graphing tool from e-Tutor. I've never seen anything quite like this online. Graph behavior is a lot like Google Maps - you can zoom in/out and pull the graph in different directions. Fun stuff! Scientific American tells us that the secret to developing smart kids is to teach kids that their mind can get smarter over time. They say this has more impact than a strict focus on intelligence. One practical example. For those of you with a Nintendo Wii, you may have struggled at first playing new games. However, after a few games of practice, it's easy to get better. This is because the brain is getting more efficient at Wii-thinking, essentially creating shortcuts. It's these shortcuts that make us smarter. This is proof that people can get smarter and that our brains can continue to become more productive. Here are two reports that say that Generation Y ("Twenty-somethings") is having issues in the workforce. First, Education Week reports that Generation Y teachers want to innovate but feel held back by "the system". A second report out of CareerBuilder.com says that Generation Y employees are unhappy in the workplace and basically want a lot more than they are getting. Why is this? Generation Y grew up in an era of prosperity. Most were in high school during the "dot com" boom and were led into thinking each of them would grow up to be millionaires. Now this generation has become the Facebook generation and they are a driving force in social networks. But they are not alone, nearly every generation wanted more than they could possible expect. Possible exceptions are those who became adults during a recession - like Generation X'ers like me. I remember there being few jobs and buying a car at a 12% interest rate. Yikes! We also found out that our link to Yahoo for Kids or Yahooligans is actually now out of date. Yahoo now has a new Yahooligans which they now call Yahoo Kids although the following school prefers the "old version" I've been able to capture online. I feel the same way. Yahoo has really messed lots of things up lately by making radical changes to things that users had become accustomed to. Finally, we also appreciate Blackboard Learning System who listed SquirrelNet as one of the best places for their clients to learn about search engines. About 500 students in Thailand are the first to get MIT's $100 laptops. 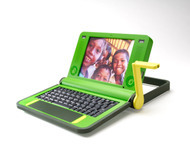 These $ 100 laptops are courtesy of the One Laptop Per Child program which has several sponsors such as Google. For more information, see the official $100 laptop website. The laptops are small, sturdy (hard to break), are powered by a hand crank or foot pedal (quickly recharges), and look to be fun to use. The cranks are useful because they allow the laptops to run in villages where there is no power. In addition, the laptops automatically establish local area networks. Incidentally, some time ago SquirrelNet predicted that PC's or "NetPC's" in the price range of $50 will someday be available to third world and developing countries. The $100 laptop program is a sign that we are right in making this prediction (just to toot our own horn). As you can see, the laptop can be easily folded to be used just like a book. A similar twist of the laptop makes it function like a photo album. AOL has just launched StudyBuddy.com, a FREE site designed to help students and their parents with homework and learning. The site is focused on grades K-12 with splits K-2, 3-5, 6-8 and 9-12. The site has links to 1,000,000 pages of content, all of which are educator-approved, and includes websites, books, journals, articles, newspapers, encyclopedias and maps among other types of content. 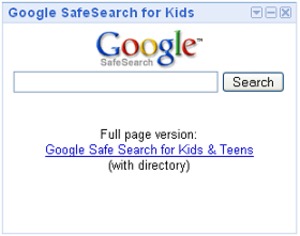 One nice advanced feature for those interested is the ability to save search results and websites to "backpacks" that can be shared with parents and friends. This is a nice feature for those wishing to use the web for "search projects". Also, a feature the folks at StudyBuddy.com are building is the ability for teachers to create their own "backpacks" which they can use in their classrooms or share with students and parents. This is a great idea that many teachers may like.